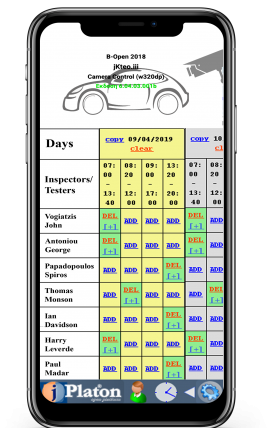 Vehicle Test Centers (V.T.C.s) specialize in checking vehicles' components to ensure each meets the minimum standard set by the Greek Ministry of Transportation (G.M.T.) before issuing a certificate. The vehicle test is carried out to the G.M.T. guidelines and includes a comprehensive inspection of the vehicle to ensure it is in a roadworthy condition. The nominated tester is responsible for carrying out all the necessary tests, including: Gas Emissions, Fuel System, Brakes etc. V.T.C.s wanted to adopt a solution in order to automate the decision of selecting the most appropriate tester for each vehicle in order to avoid wasting time, swapping testers among vehicles during overhauls and of course testers overload. Using jVTC's Staff – Shifts management in compliance with tester – vehicle binding provided the automation and security for the most appropriate tester participated in a vehicle test at any time. Technical Staff education, experience, and expertise information are now gathered and grouped in automated procedures and pre-defined fields and lists. Online timetable and shifts digitalized the former paper draft schedules. Inspection testers are now assigned and available in specific timeslots during each day. Power-users and admin users are able to participate and type in all the necessary info for the V.T.C. inspections and testers procedure. The system taking into consideration the time elapsed since the latest tester's overhaul and the workload accomplished and performed by each tester decides which of the available and qualified testers of the list should be on the Top of the List. Top of the List is the tester selected to accomplish the vehicle overhaul. 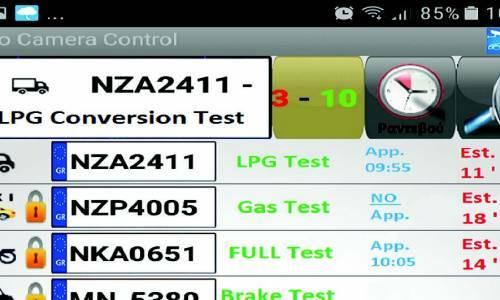 The decision of selecting the most appropriate tester for each vehicle is now as simple as picking the Top of List entry. Using this knowledge base, overhaul and testers administrator can rely on the automated decision making by the system and roll-out a stress-free, equitable and reliable way for running a Vehicle Test Center. Shifts management, Staff expertise, education skills, Completed tests, Vehicle – Tester binding, Future appointments, and information analytics provide a powerful tool to the management for organizing the workload, going digital and expanding.